"Crax the fun Crispy to eat, this is called fun! 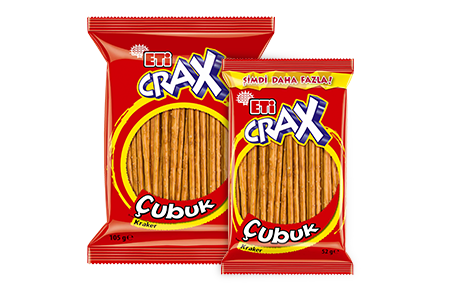 ETİ Crax plain is ideal for snacking whenever you want. Create your own fund with your friends or when you get bored. Compete to eat the fastest or to eat maximum quantity in one go! "